The world of autonomous vehicles is rapidly changing, and what was once a dream in various science fiction films is inching closer and closer to reality. Many companies, such as Google and Tesla, are publicly working on autonomous vehicles, but who is working on the human-centered side of this technology? 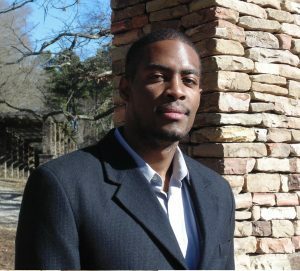 Jerone Dunbar is a Ph.D. student in the Human Experience Lab at the Computer & Information Science & Engineering Department (CISE) at the University of Florida. He is also a Generation Google Scholar. But Dunbar wasn’t always focused on distracted driving and user experiences. He began his academic career at St. Thomas Aquinas College, a small liberal arts school in Sparkill, NY, where he received a bachelor’s degree in computer science. He didn’t think much about pursuing higher education until he met Dr. Juan Gilbert at a Distributed Research Experience for Undergraduates program at Auburn University. Dunbar was inspired to pursue a master’s degree and would end up doing so at Clemson University with Dr. Gilbert as his adviser. He then decided to take his education further with a Ph.D., which he began at in early 2014. By then Dr. Gilbert was hired by the CISE department at the University of Florida as part of its pre-eminence initiative, and students under him had to make a choice of whether to stay or follow him to a new university. “For some people it made sense to go with him, and for others not because they were about to graduate,” Dunbar said. He chose to follow his adviser, citing the importance of their academic connection. Dunbar joined the Gator Family in the Fall of 2014, making himself at home in the Human Experience Research Lab and working as a Teaching Assistant for CISE departmental classes. In addition to his work with autonomous vehicles, he is also a team member on Dr. Gilbert’s Prime III project, which is an accessible electronic voting system. You can read more about it here. As for any advice for students interested in autonomous vehicle research, Dunbar said preparation is essential.